Hernia Institute of Beverly Hills, serving the greater Los Angeles area, is proud to offer the da Vinci Si System, a sophisticated robotic surgical platform designed to facilitate surgical procedures using a minimally invasive approach. Robotic hernia repair surgery provides surgeons with enhanced capabilities, including high-definition 3D vision and a magnified view. The da Vinci Si Robot provides increased dexterity and visualization that allows surgeons to safely perform an operation through small incisions as opposed to multiple incisions used in traditional operations. Dr. Nishi brings a wealth of expertise and experience to the Hernia Institute of Beverly Hills. He is an expert on innovative, minimally invasive surgical techniques and has spoken extensively on the subject, having appeared in a variety of news media. A well-known and highly regarded laparoscopic and robotic surgeon, Dr. Khalili is highly trained in robotic single incision inguinal hernia repair utilizing the Da Vinci® Si Robotic System and has trained surgeons in minimally invasive surgery. Dr. Eraj Basseri, a highly skilled laparoscopic and robotic surgeon was instrumental in bringing to life the Hernia Institute of Beverly Hills. Dr. Basseri is fiercely committed to providing patients the best and most individualized medical care possible. Dr. Reisfeld is a pioneer, researcher, and leading surgeon in the field of hyperhidrosis. He has been featured in newspapers, magazines, and television reports nationwide. He has also contributed greatly to this area of medicine. Dr. Khalili, Dr. Nishi, Dr. Basseri and the rest of the staff epitomize what it means to be professional, courteous and conscientious. And these standards extend beyond the doctors to the rest of the staff as well. Had the pleasure to speak with the Office Manager Dorothy yesterday over the telephone regarding the office. She was genuine in the way spoke of the practice, the surgeons and the employees. It was clear the doctors not only emphasize patient care and experience but go above and beyond to create a healing community. As for the physicians…Dr. Khalili, Dr. Nishi, and Dr. Basseri. They are extremely superb. They go out of their way to make sure that you are well taken care off. More than anything I have this enormous trust in their capabilities as surgeons. The staff is filled with wonderful people who are kind, caring, compassionate, and most importantly-not judgmental! They are all willing and more than happy to go above and beyond-not only make you feel comfortable, but special. Hernia Institute of Beverly Hills is a group of highly skilled doctors and surgeons proud to offer the da Vinci Si Robotic Surgical System. 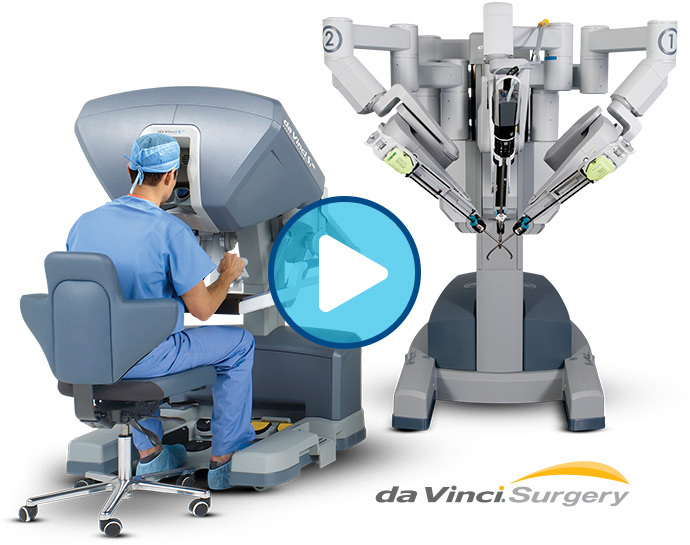 The da Vinci Si System is a sophisticated robotic surgical platform designed to facilitate surgical procedures using a minimally invasive approach for hernia treatment of all kinds – from umbilical (belly button) to strangulated. Our state-of-the-art treatment facility is located in Wilshire Blvd in Beverly Hills, serving the Greater Los Angeles area. We are accessible from cities such as Glendale, Santa Monica, Burbank and surrounding areas.